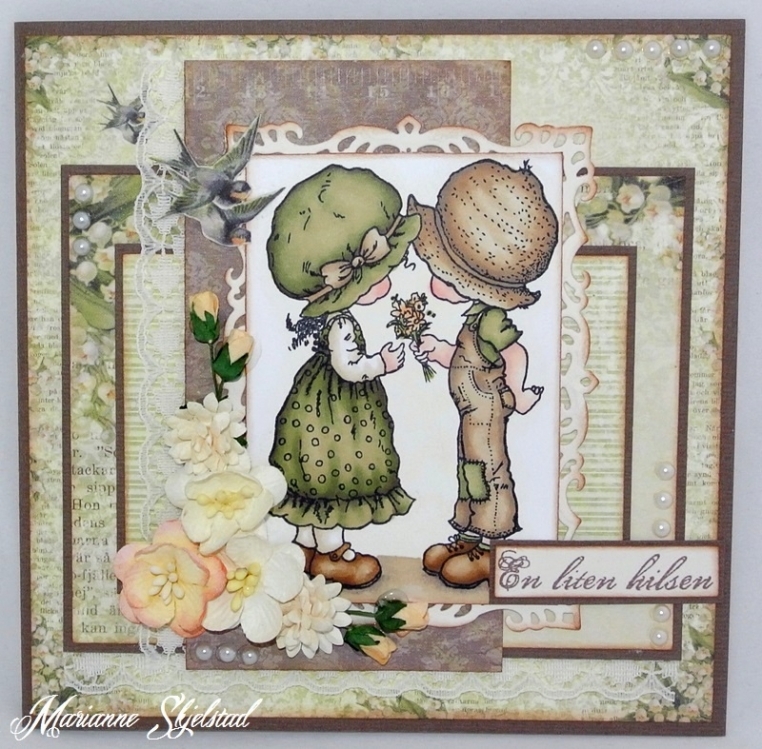 Here is a card where I have combined the collections Fairytale of Spring with the lovely brown from the collection Grandma’s school book. I have colored the picture with Copics, and decorated the card with pearls and flowers. 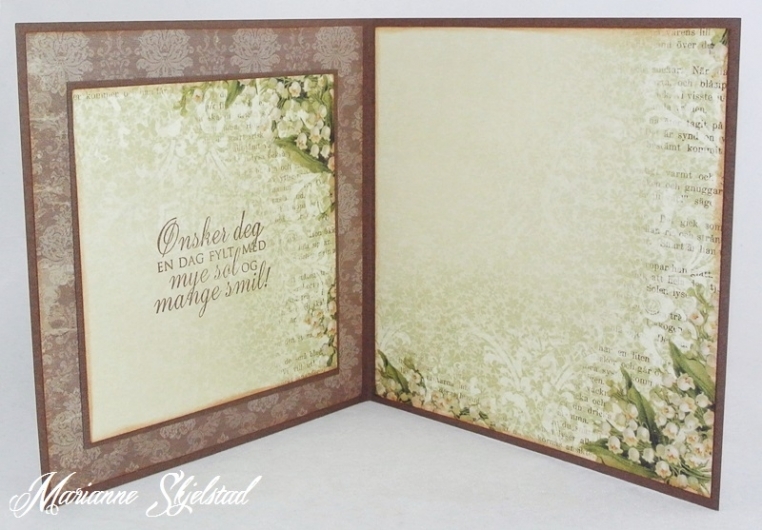 Here you can see the inside of the card, with the same papers and some sweet words.